More than 345,000 adults in Northern Ireland lack basic online skills, which is why cross-sector charity Go ON UK has taken its online digital skills programme to the region. Basic online skills are needed to send emails, use search engines, browse the internet and complete online forms, yet almost a third of businesses and charities in Northern Ireland (NI) lack such skills, according to research from Go ON UK founding partner Lloyds Banking Group. 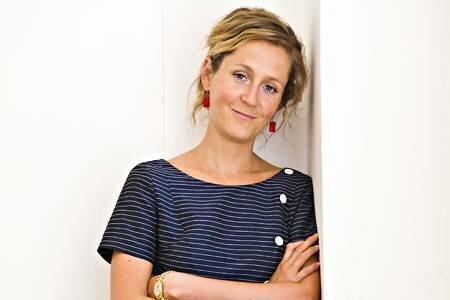 Go ON UK founder Martha Lane Fox (pictured) said the charity plans to "super charge" existing digital skills in the region through its Go ON NI initiative, in a bid to reduce the number of people below the basic online skills threshold by 25% over the next 12 months. However, every person lacking basic online skills has a different reason, so a one-size-fits-all approach will not work, according to Lane Fox, who is also chair of the government's Digital Advisory Board. “There are lots of different reasons for someone not using technology, whether it be money or environment. We can’t assume the reason for being outside the technical landscape is the same for every person,” she said. Go ON NI partners have committed to encouraging citizens and businesses to become more digitally aware and confident. “We’re taking a regional approach again and building up our digital partners – all companies on our board have committed to the NI campaign and we are encouraging technology businesses to get involved. We are optimistic because a granular approach can really make a difference,” said Lane Fox. Lane Fox said she “fell into technology" herself, "but got bitten by the bug on what the web can do". "Go ON NI is not just a campaign, it’s a structured programme of work to get the necessary digital skills out there,” she said. Go ON UK aims to build on the success of its 2011 Go ON Liverpool partnership campaign, which helped reduce the numbers of offline adults in the city by 55% in 18 months. The charity also previously launched Go ON North East last year, which aims to deliver a 25% reduction in the number of people in the region below the basic online skills threshold in 12 months. Graham Walker, chief executive of Go ON UK, said: “We know from lessons learned that working in partnership on a local level is key to bridging the digital skills gap in the UK. “The unprecedented results of Go ON Liverpool have provided us with a blueprint and early indicators from the work we are doing in the north east are positive. We now want to do the same in Northern Ireland. “Everyone has their part to play. We have given our partners 26 weeks to make a difference. Some partners will run events, provide access points or offer incentives. Others are sharing data, advice, training and space. We encourage everyone to build a network of local digital champions – real people in the region who are willing and able to share their digital skills with others,” added Walker. Northern Ireland's minister for finance and personnel, Simon Hamilton, said: “I am delighted to continue to offer our support to the Go ON NI programme and this latest activity. Over the past three years, the Go ON NI team has carried out fantastic work and I can personally confirm the difference this has made in communities across Northern Ireland. Today, Go ON UK has also launched digitalskills.com, aimed at helping users maximise the web. The site offers online tools and resources and a map including more than 3,000 UK Wi-Fi hotspots, computer access points and other people wanting to share their digital skills. Furthermore, Go ON UK will be launching the I Made a Difference Awards in the coming months. The awards aim to celebrate the work of individuals and organisations in NI who are helping to boost basic online skills.